We'll let you know where you stand and what steps you should take to protect your rights. We guide you and are with you at every step with sound advice and effective representation. We work to keep your family relationships intact and productive long after your case is resolved. Melissa, “Missy” Strickland is the founder and principal attorney at Buckhead Family Law, serving clients throughout Atlanta and surrounding communities in divorce and other important family law matters. After years of practicing family law as an attorney with larger law firms, Missy decided to open her own firm to be able to provide more customized representation to her clients. She has practiced family law at some of Atlanta’s top firms since 2006, and handles a full range of domestic relations matters including divorce, prenuptial and postnuptial agreements, child custody, child support, alimony, contempt actions, paternity and legitimation. Divorce, child custody and other family law matters have profound and lasting impacts on you and your family relationships. Let us help you protect yourself and those you love while meeting your needs and goals. Buckhead Family Law is an Atlanta-area family law firm serving clients throughout Atlanta and surrounding communities in Fulton, Cobb, DeKalb, Gwinnet and Forsyth counties in the areas of divorce and related family law matters. Our practice spans the range of Georgia family law matters, including divorce, child custody, child support, property division, alimony, post-divorce modifications, prenuptial and postnuptial agreements, paternity and legitimation, and more. Perhaps nothing in life is more important than family relationships. When your family is going through changes, trust Buckhead Family Law to provide the advice, representation and support you need for a successful, effective and lasting outcome. Our Atlanta family law office is headed by attorney Melissa Strickland, an experienced courtroom litigator with a background in big firm, mass tort lawsuits, in addition to her twelve years as an Atlanta family lawyer. With this litigation background, you can be assured of strong, effective representation in contested family law matters that require serious litigation to resolve. However, at Buckhead Family Law we never forget that it is you and your family at the center of any representation. 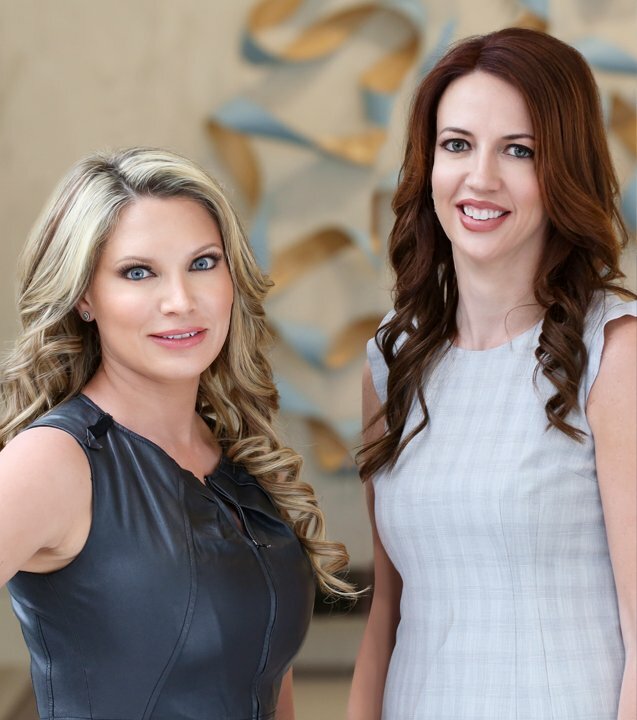 After years practicing with other law firms, Melissa opened Buckhead Family Law as a boutique law firm where you get the time and attention you need from a caring attorney with a high-level of experience and training who always keeps your family’s needs foremost in mind. Divorce – We provide all the help you need in contested and uncontested divorces, from drafting and reviewing marital settlement agreements to aggressive representation in divorce litigation. Child Custody – We help you work out a detailed parenting plan that works for everybody, or litigate issues of physical and legal custody in the best interests of you and your children. Property Division – Whether looking for a 50/50 split or an unequal yet equitable distribution, we help make sure every marital asset and debt is located, properly characterized and accurately valued. Paternity & Legitimation – Our knowledgeable family law attorney can walk you through the two-step process of paternity and legitimation to establish or oppose parental rights and responsibilities in crucial areas such as child custody, visitation and child support. Prenuptial and Postnuptial Agreements – Let us draft or review agreements that determine important issues such as alimony and property division in the event of a divorce. Save time, money and conflict down the line by discussing your expectations in a calm and constructive manner. Modification of Child Support – When the income of the parents or the needs of the kids change, the amount of child support may need to change as well. Whether recalculating the Georgia Child Support Guidelines amount or seeking a deviation, count on our office to build a strong factual case that supports your position. Modification of Alimony – Changes in income, romantic relationships and other factors may justify a modification or early termination of alimony payments. Whether you are seeking or opposing a modification, having strong, experienced legal representation is essential. Contempt – Civil contempt proceedings are powerful tools to compel enforcement with court orders regarding the payment of alimony or child support, or compliance with custody exchanges and visitation. Make sure your rights are protected and that you are set up for success by engaging our experienced courtroom litigator to represent you. Domestic Violence & Protective Orders – If you or your children have been threatened by a spouse, former spouse or their parent, don’t wait for actual violence to occur before taking action. We represent parties in seeking Family Violence Protection Orders and also represent parties challenging an order when they are falsely accused of domestic violence. Grandparents Visitation – Grandparents have the right under Georgia law to intervene in a divorce or custody modification, or to file an action in court to force visitation. Several factors must be proven to show visitation would not be detrimental to the children but would be in their best interests. Let us represent you when you are seeking or opposing grandparent visitation. Nothing is more important than family. Get the time and attention you need for your family law matter from a knowledgeable, experienced and dedicated Atlanta family lawyer. Call Buckhead Family Law at 404-600-1403, or contact us online to arrange a consultation.